A must read for Lent and Easter! From the bestselling author of The Lamb's Supper and Signs of Life comes an illuminating work on the Catholic Eucharist and its link to the Jewish Passover meal. In this brilliant book -- part memoir, part detective story, and part biblical study -- Scott Hahn opens up new vistas on ancient landscapes while shedding light on his own enduring faith journey. 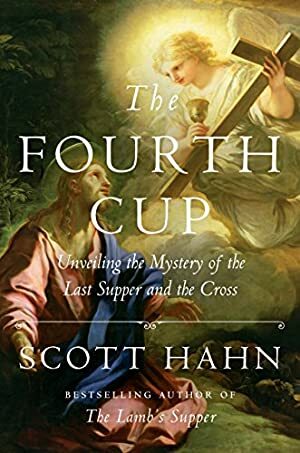 Simultaneously a prequel and a continuation of his bestselling The Lamb's Supper, The Fourth Cup not only tracks the author's gradual conversion along the path of Evangelicalism to the doorsteps of the Catholic faith, but also explores the often obscure and misunderstood rituals of Passover and their importance in foreshadowing salvation in Jesus Christ. We started tracking this book on May 19, 2017. The price of this book has changed 12 times in the past 700 days. The current price of this book is $12.99 last checked 15 hours ago. This lowest price this book has been offered at in the past 90 days is $11.99. The lowest price to date was $2.99 last reached on October 21, 2018. The highest price to date was $12.99 last reached on April 14, 2019. This book has been $12.99 6 times since we started tracking it. We last verified the price of this book about 15 hours ago. At that time, the price was $12.99. This price is subject to change. The price displayed on the Amazon.com website at the time of purchase is the price you will pay for this book. Please confirm the price before making any purchases.